A Joyful Girl...: We're POOPED! But, I promise to update you all on our crazy week in Atlanta once we get a little bit of energy back! Funny but true. I'm still exhausted! 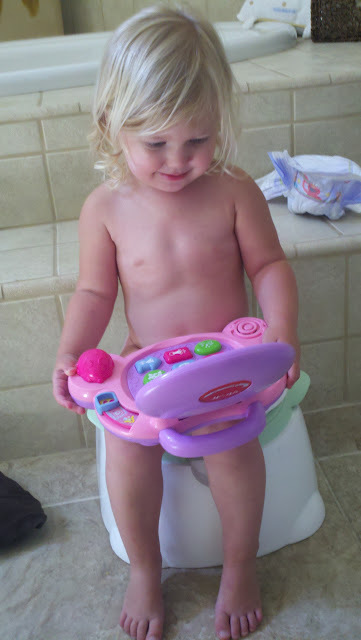 I see Olivia is "productive" at all times...two things at once!